The Laboratory of Soil Biodiversity of the University of Neuchâtel was established in 2009. We study the biodiversity and ecology of soil organisms at the population, community and ecosystem levels and the diversity of protists in general. We are interested both in macroscopic (e.g. plants and invertebrates) and microscopic organisms (mostly protists but also micro-metazoa such a nematodes). A strong focus of our research is protistology and especially the study of testate amoebae. We combine field studies (descriptive and experimental) and laboratory experiments. We conduct research in a broad range of terrestrial to semi-aquatic ecosystem : forests, floodplains, glacier forefront, wetlands and especially peatlands. Applications of our research include biomonitoring of pollution, palaeoecology, and forensic science. We have a strong network of national and international collaborations (EU, USA, Canada, Brazil, China, Japan, Russia, etc.) and are involved in several international projects. Biodiversity and natural dynamics of ecosystems: comparative patterns of communities of plants and soil organisms with special focus on the testate amoebae (Protists). Present, past, and future (10-10'000 years) responses of ecosystems to external forcing such as management (including restoration) and global change (climate, land-use changes), with special focus on wetlands. Phylogeny, taxonomy, biogeography, and ecology of testate amoebae with the aim to improve basic knowledge on these organisms and make them more valuable in palaeoecological studies of wetlands and in bioindication (e.g. biomonitoring of pollution and climate change). Diversity, taxonomy, and ecology of Oomycetes. At the intersection of forensic science and soil ecology, we study the effects of cadaver decomposition on soil communities and functioning. The goals are 1) to better understand how cadavers affect the soil environment in its diversity and functioning, and 2) to develop new tools for forensic investigations (e.g. dating the post-mortem interval). Bringing together biology and ethnology to better understand environmental problems. Invasive insects and introduced biological control agents are central to our research. Wetlands are unusual because they are at the boundary between, and have characteristics of both, aquatic and terrestrial environments. Wetlands are recognized as habitat for many rare and endangered species (e.g. boreal species in Sphagnum peatlands), and for their role in the cycles of water, carbon and nutrients. Wetlands also connect the different components of the landscape, from the high mountain areas to the lowlands and ultimately the sea. 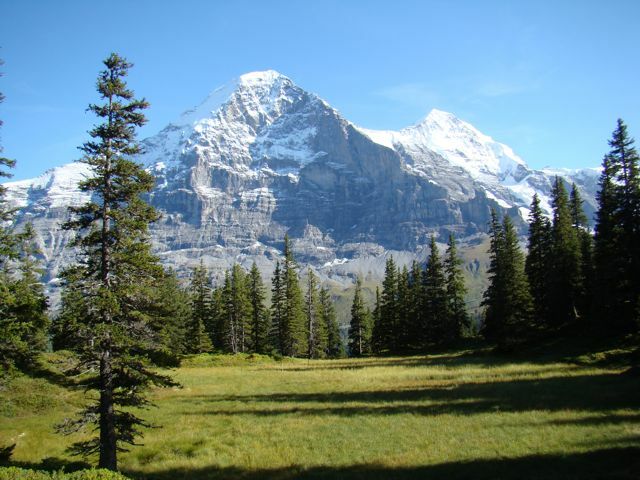 Switzerland has a high diversity of wetlands from early succession alpine glacial forefront wetlands to fens and bogs. Many of these wetlands have been impacted by human activities, but others remain in natural or close to natural state. We thus study both natural wetlands and damaged ones that may or may not be recovering from perturbation. Some Swiss wetlands, such as Sphagnum-dominated bogs, are located in the marginal (southern) limit of the distribution of these ecosystems in the Northern Hemisphere. For this reason they represent precious models for studying the effect of climate gradients and climate change on the structure and functioning of northern Sphagnum-dominated peatlands, an ecosystem that holds a large fraction of the total soil organic carbon pool. Switzerland is also unusual in having raised bogs from the lowlands (ca. 500m elevation) to the subalpine level (ca. 1900m), thus providing unique opportunities for ecological studies along climatic gradients. The study of terrestrial ecosystems is often primarily undertaken based on the study of macroscopic organisms and especially plants and insects. While it is clear that plants and insects play central roles in ecosystems as primary producers and consumers, other taxonomic groups are also important. Despite the general recognition of the functional role of a broad range of taxonomic groups, including Bacteria, Archaea, protists, fungi and animals, current research effort still do not correspond to either the known diversity of individual groups (in which case arthropods should be studied far more) or their functional diversity (in which case microorganisms should receive much more attention). Beyond this general imbalance is the fact that among the microorganisms, most attention is devoted to the prokaryotes and the fungi, while the protists are the least studied group. This contrasts with their role in microbial food webs, their effect on plant growth and biogeochemical cycling, and their diversity (as is increasingly becoming clear from high-throughput environmental sequencing studies). All aspects of protists, phylogeny, taxonomy, autoecology and synecology clearly deserve much more attention and there is no a-priori reason not to include the study of protists together with that of the vegetation or other taxonomic groups. We are proud that the University of Neuchâtel stands out as an exception in including protistology courses from the first year of its bachelor program in biology. Protistology should indeed be included in any biology program but at this moment this is far from being the case. We hope this will gradually change as the diversity and functional roles of protists are better appreciated in the scientific community. 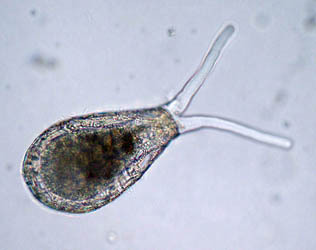 Testate amoebae, our main model group of organisms, are especially interesting protists. The shell (called test) they produce allows relatively easy identification and these shells are preserved in lake sediments and peat, thus allowing their use in paleoecology. A prerequisite for this approach however is that we need a good understanding of the taxonomy, biogeography and ecology of these organisms, and this explains the diversity of topics we cover in this group!